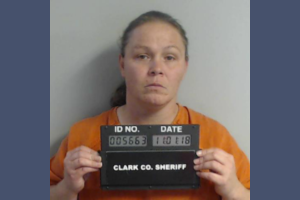 A former school janitor, charged with making a threat that forced Clark County schools to close for the day, has pleaded Guilty to a lesser charge. Amanda Miller of Kahoka entered that plea Tuesday at her arraignment in Clark County Circuit Court. Court records show she pleaded Guilty to one count of 2nd Degree making a terrorist threat. She had been facing a 1st Degree count. Miller was arrested November 1st by the Clark County Sheriff's Office. She admitted writing a threat on a stall in a middle school bathroom a week earlier, reading “I’m going to kill everyone at this school today”. That threat caused all Clark County Schools to cancel classes for the day. Miller's in the Clark County Detention Center, and will be sentenced January 4th.